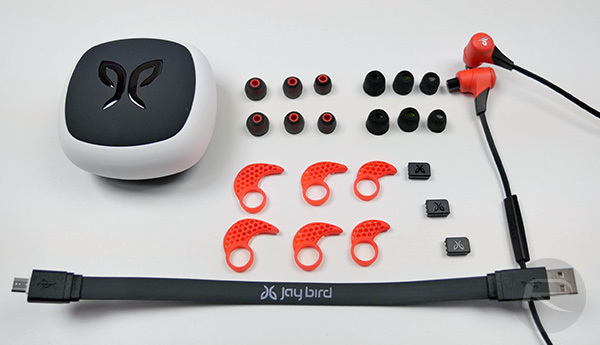 I have been an owner of the Jaybird BlueBuds X for about two years now. Every time I go to the gym, if they aren’t in my ear, they are sitting around my neck. Also, when it comes to taking trips, I tend to reach for my BlueBuds X. Basically, the BlueBuds X are my go-to wireless earbuds, especially when it comes to working out. The originals are just that good. 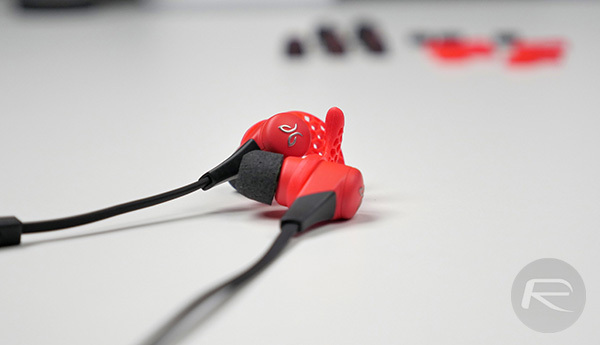 But Jaybird recently released a successor to its excellent earbuds — the X2. The X2 buds haven’t changed much besides a few tweaks here and there. The way I see it is if it ain’t broke, don’t fix it. That is exactly what Jaybird did with the X2s. First, they now come in a variety of color options – midnight, fire, charge, storm, ice, and alpha. 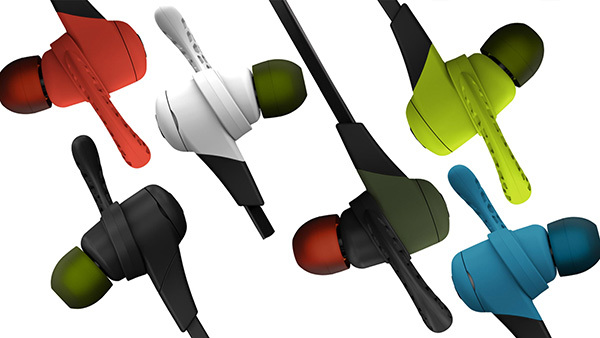 Instead of a glossy finish like the BlueBuds X, they have a matte coating, which looks and feels great. The X2 buds are built like their predecessors, which I have no complaints about. They are made to last and are sweat-proof as well as water resistant. With the help of Liquipel, these will accompany you through your intense sweat sessions at the gym, giving you no worries about them getting damaged. If your X2 earbuds, for some reason, do get damaged because of sweat, which I have never experienced with the BlueBuds X through two years of use, Jaybird will replace them as they have a lifetime warranty against sweat. Winning! 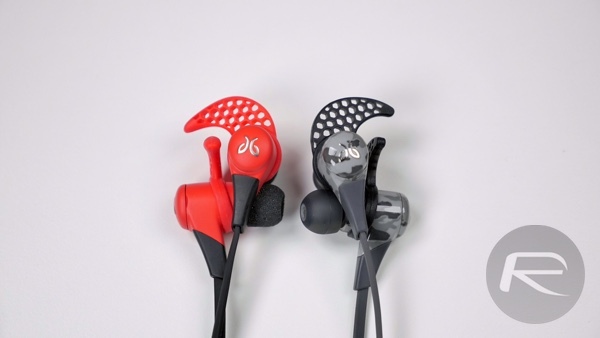 I am pretty picky when it comes to in-ear headphones, especially when using them for workouts. I have trouble keeping in-ear headphones actually in my ears because they tend to fall out when doing activities that require a lot of movement. With the X2, I don’t have these issues, especially thanks to the new Comply foam ear tips, which I prefer using. These foam ear tips are more comfortable to me than the silicone ear tips. With the help of the sport ear fins, the earbuds stay in place when it comes to walking, jogging, running, lifting weights, or any other type of activity I threw at them. I even used these when warming up before my baseball and softball games and they stayed secured. 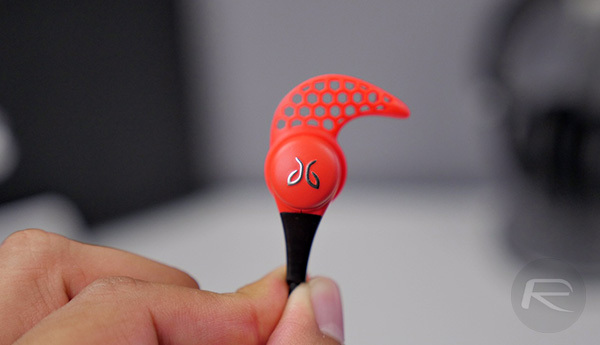 These ear fins are slightly redesigned compared to those that came with the BlueBuds X; they have a wider tip to give you more of a secure-fit. Also, you have two different ways to wear the earbuds – over the ear or under the ear. I prefer to use them under the ear. Wearing them over the ear is great if you want a more tight and secure fit as the provided cord management clips help you do just that. I’ve used the X2s for an extensive amount of time, and in my experience, they felt comfortable even after an hour to two of use. I am sure when it comes to bluetooth headphones, battery life is top priority. The X2’s do not fall short in this area. Listening to music at about 50-75% volume, they provided me with 8 hours of use on average and that is great for people like me who workout for up to two hours several times a week. I usually go about a week before having to charge them up again. Being a music lover, I was more than pleased with the X2’s excellent audio performance, which the earbuds maintain over a variety of genres, from EDM to hip-hop, rock and more. Despite being wireless and compact, they still provide great bass and clean audio. The earbuds are also capable of not only letting you listen to your music wirelessly, but also take calls. This feature, too, did not fall short in the quality department. When I took a phone call and asked for feedback on the sound quality, the caller could not tell I was using headphones. One gripe about the originals were when pressing the volume up and volume down controls, there was a small beep sound each time these buttons were pressed. While it wasn’t a deal breaker with the BlueBuds X, it did get annoying because there wasn’t a way to disable this feature. Luckily, with the X2’s, Jaybird fixed this small annoyance and no longer beeps when you press the volume up and down. If you are in the market to get some wireless earbuds, be it for a wearable like Apple Watch or your smartphone, look no further. The X2s are what you have been looking for. They retail for $179.99 and you can pick them up in a variety of colors. Now, if you want to save a few bucks and don’t care for the latest and greatest, the predecessor to the X2, BlueBuds X, is still a great buy! Either way you go, you will have a solid pair of bluetooth earbuds. Yeah they are the best currently available.